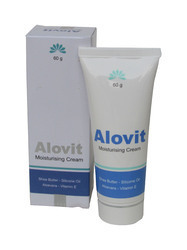 We are offering Skin Moisturizer to our customers. contains :Vitamin E , Aqua, Isopropyl myristate,Stearic Acid,Cetyl Alcohol,Light liquid paraffin,CCTG,Niacinamide, ,Alovera, Tri Ethanol Amine, Wheat Germ Oil, sunflower seeds oil, Methyl chloroisothiazolinone & Methyl Isothiazolinone, perfume. 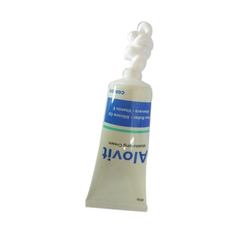 We are offering Light Liquid Paraffin Cream 100gm to our Client. These creams are used for the treatment of winter itch and mild palmar hyper keratotic dermatitis, mild plantar hyper keratotic dermatitis, contact dermatitis, senile atrophic skin and post - menopausal dryness of the skin. We are offering Light Liquid Paraffin Cream 200gm to our Client. These creams are used for the treatment of winter itch and mild palmar hyper keratotic dermatitis, mild plantar hyper keratotic dermatitis, contact dermatitis, senile atrophic skin and post - menopausal dryness of the skin. 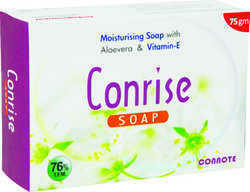 Improves skin barrier function in atopic and reduce skin susceptibility to irritants. We have gained expertise in manufacturing, supplying and trading a quality range of Aloe Vera Moisturizing Cream(Aloe-vera/Silicone-oil/Shea-butter/Vita.E). We have gained expertise in manufacturing, supplying and trading a quality range of Aloe Vera Moisturizer Lotion with Phytosquelene (Aloe-vera/Silicone-oil/Shea-butter/Vita.E). We are offering Face Cream to our Client. These creams are used for the treatment of winter itch and mild palmar hyper keratotic dermatitis, mild plantar hyper keratotic dermatitis, contact dermatitis, senile atrophic skin and post-menopausal dryness of the skin. We have gained expertise in manufacturing, supplying and trading a quality range of Skin Moisturiser (Aloe-vera/Silicone-oil/Shea-butter/Vita.E).